Netflix has released the first photos from the upcoming return of Tales of the City. The groundbreaking series based on the books by Armistead Maupin first appeared on our screens back in 1993, way before shows like Queer as Folk, The L Word, and Looking focussed on the chosen families of queer communities. The original mini-series starring Laura Linney and Olympia Dukakis aired in 1993, and two further installments came in 2001 and 2003. Now after 16 years Netflix is set to take us back to the world of 28 Barbary Lane in San Francisco. ‘Tales of the City’ story opened with Mary Ann Singleton deciding to move from Cleveland, Ohio to bohemian San Francisco. She takes up residence at 28 Barbary Lane alongside a collection of intriguing characters including openly gay Michael “Mouse’ Tolliver, marijuana growing landlady Anna Madrigal, bisexual hippy Mona Ramsey and straight Lothario Brian Hawkins. The new series sees us pick up the story when Singleton (played by Laura Linney) returns home to San Francisco and is reunited with her daughter Shawna and ex-husband Brian, twenty years after leaving them behind to pursue her career. Fleeing the midlife crisis that her picture perfect Connecticut life created, Mary Ann returns home to her chosen family and will quickly be drawn back into the orbit of Anna Madrigal and the residents of 28 Barbary Lane. 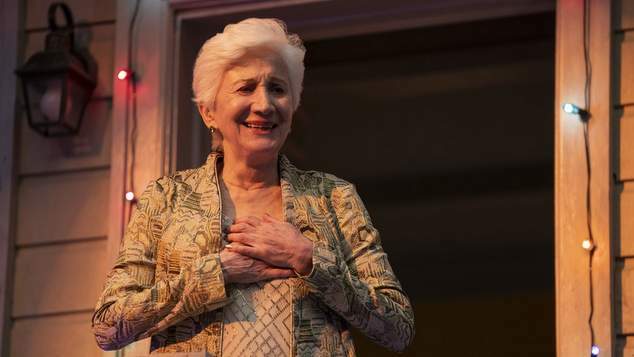 Olympia Dukakis returns to her most iconic role as the matriarch of the shared house Anna Madrigal. In an interview with Vanity Fair showrunner Lauren Morelli, who worked on Orange is the New Black, said if they were casting the part today they would have picked a transgender actor to play the role. While Dukakis returns to play the part, they have cast a trans actor play ‘young Anna’ is flashback scenes. Western Australian raised actor Murray Bartlett takes on the role of Michael ‘Mouse’ Tolliver. A different actor has played the part in each instalment of the series. Bartlett, who starred in Looking will be the third actor to portray the role. Actor Paul Gross returns to play original housemate, and Maryanne’s ex-husband, Brian Hawkins. Ellen Page joins the cast to play their adopted daughter Shawna, while Girls actor Zosia Mamet plays a filmmaker making a documentary. 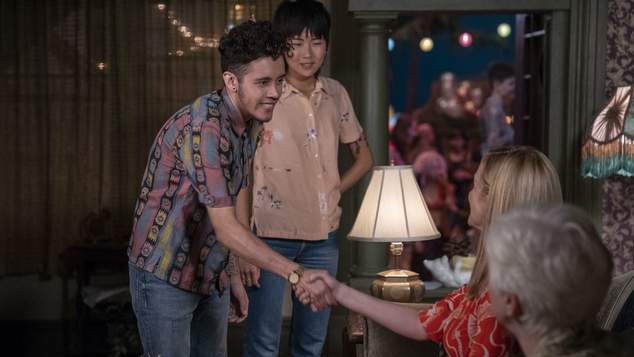 The other new characters in the show include Garcia, played by Jake Rodriguez, a transgender man whose transition is putting a strain on his relationship with girlfriend Margot, played by May Hong. Charlie Barnett from Chicago Fire and Russian Doll plays Michael Tolliver’s younger boyfriend, Ben Marshall. Tales of the City first appeared in 1976 as a serial in the ‘San Francisco Chronicle’ and two years later it was published as a novel. The story continued as a serial in the newspaper, later swapping to the San Francisco Examiner, and the format continued for the first four novels in the series. From the fifth book, the story just appeared a novels and over the decades author Armistead Maupin wrote nine books about the characters. In 2014 Maupin published ‘Anna Madrigal Lives’, the ninth book in the series. Maupin said it would be the last tale from the city. Supporting characters from the books have also appeared in some of Maupin’s other works too. OUTinPerth spoke to author Armistead Maupin back in 2007 and he shared with us how each character in Tales of the City, included little bits of his own life. Tales of the City is expected to be on Netflix mid-2019.